The EU funded project (JUST/2010/JPEN/AG/1609), entitled ‘How can Peacemaking Circles be implemented in countries governed by the “principle of legality?” aims to determine the potential of peacemaking circles as a European model and to test and research the implementation of this method in the justice system of three European countries: Germany, Belgium and Hungary from September 2011 until May 2013, under the leadership of the University of Tübingen. The piloting of peacemaking circles in Hungary takes place in four counties (Békés, Szabolcs-Szatmár-Bereg, Hajdú-Bihar and Baranya) in cooperation with the local offices of justice, in the selected and eligible criminal cases. The leading partner of the Hungarian consortium is the Foresee Research Group and the National Institute of Criminology. Other partners are the Central Office of Justice and Ministry of Public Administration and Justice. A peacemaking circle is an alternative conflict resolution process based on restorative principles that has its origins in ancient tribal conflict resolution rituals. Compared to other restorative practices peacemaking circles aim to address even broader levels of harm by involving a larger spectrum of people affected by the crime committed, such as family members, members of the affected community. In addition to that, one peculiarity of the method is that it also aims to involve the court personnel judge, prosecutor, police officer and other social supporters in the procedure while using the spiritual and structural power of circles. RJ has been criticised for privatising the response to crime and not including the societal dimension sufficiently; a dimension that is essential for (the definition of) crime. 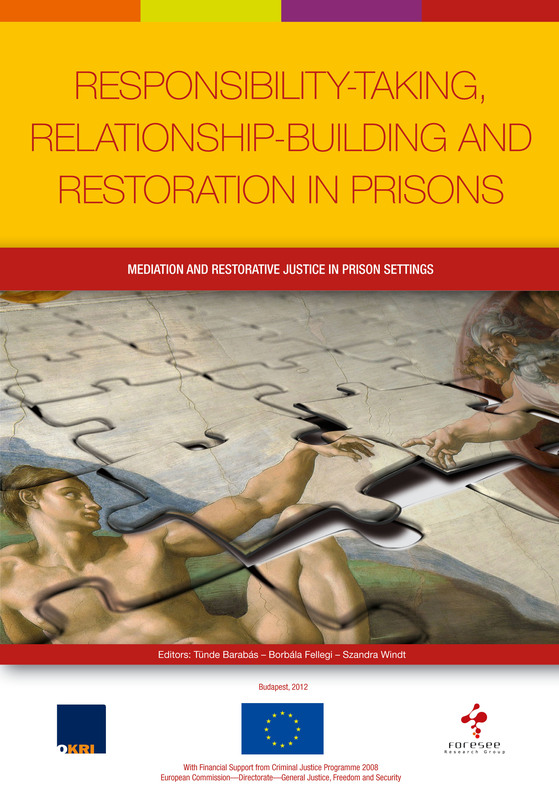 Moreover, including the community dimension proved to be more effective in terms of satisfaction, impact on re-offending and re-integration into society- according to the research results. Peacemaking circles are in need of including the community dimension—not in an abstract way but very concretely in a safe, controlled way. The involvement of representatives of the judicial authorities is an added value in this respect. The peacemaking circle tries, with the help of supporters, the community and the representatives of the judical authorities to provide the dialogue about the background of a crime, its effects on those afflicted, and the needs arising from it with a wider basis. The peacemaking circle emphasizes, besides the basic restorative principles shared by other methods (volunteering, honesty, mutual attention) balanced power relations, and the possibility for everyone involved to share their thoughts on the matter. Canada can be seen as the “birth place” of peacemaking circles. Peacemaking circles have been used for a long time by first-Nation members in dealing with conflict. They realized that the traditional approaches aren’t able to provide satisfying results in crimes that involve native communities. As an alternative solution, they turned towards the inner, tribal conflict-handling methods of the communities, and they tried to harmonize it with the legal environment. They have been introduced in Canada in the official judicial system in 1991. Peacemaking circles are used world-wide in many different situations. They have potential in dealing with conflict, whereas that conflict can, but does not necessarily is, a crime. There are some characteristics that all peacemaking circles share. A peacemaking circle can’t be defined or described in words adequately; it can only be experienced to understand it to its full extent. 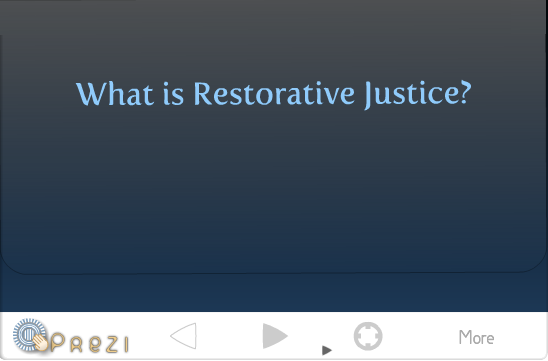 Nevertheless, there are some elements, apart from the – as the name suggests – seating arrangement that is in an actual circle, that differentiate a circle from other restorative justice practices. Peacemaking circles are a specific methodology, defined by an inner (underlying values) and outer (structural elements, such as the talking piece, keeper, guidelines and ceremony) framework, that works toward a circle meeting with all involved participants present where stories, experiences and emotions can be shared in a safe environment. When dealing with conflict, the circle meeting will try to reach a solution in the form of an action plan agreed upon in consensus, where all parties can take responsibility for the steps necessary to reach healing or restoration. Peacemaking circles differ according to the participants role and the aim of the process. Healing circles are held to support one or more people, who have gone through a painful experience (e.g. the victim of a crime). The goal here is on the one hand to share the pain, to give the support persons and community a better understanding of what the person in need of healing has gone through; on the other hand the goal is to let that person know that he/she is supported. In case of community sentencing circles community deals with conflicts (and possibly crime) itself, without the “interference” of the official judicial system, lawyers or judges. Community court sentencing circles involve judicial representatives. The participants in these circles are the same as in a traditional court hearing. Although the sentence is reached by consensus, it is still the judge who has the last word. Talking circles are used to clarify different opinions about a certain topic. The goal is not to achieve consensus, but to achieve a greater understanding of each other’s views and opinions. 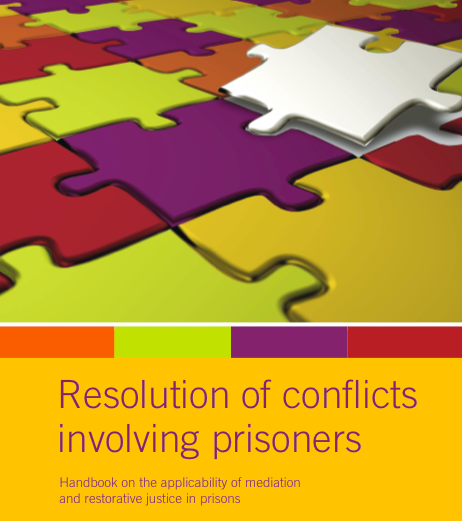 Talking circles are not limited to deal with crimes, not even limited to deal with conflicts. They can be used whenever someone wants to have a better understanding of the opinion of someone else. The advantage of the circles compared to other restorative methods is that the methodology adapts to the needs of the afflicted community. The project started with a training in Leuven by Canadian trainers Harold Gathensby and Phil Gathensby, where the mediators of Offices of Justice from four counties and civilian moderators had the chance to learn the basics of the method. During the year 2012, the probation officer mediators and the civilian facilitators of Foresee create peacemaking circles together. Participating in the circles are stakeholders of victim-offender mediation in penal cases, supporters from both the side of the victim and the offender, the afflicted community, representatives of the judicial authoritieand local support proffessionals. The project is lead up to and followed through by an action research. The aim is to discover the conditions of integrating the circles into the Hungarian judicial system. In what cases can the circles be relevant andhow can they become an auxiliary method to victim-offender mediation in penal cases? Who are the ones in the community and in the judicial system that could be involved and what role could they fulfill in the circles? How can the circles be integrated into the Hungarian institutional sytem and the work of the mediators? The research is action research, meaning the researches and the facilitators analyze and evaluate the intervention together. The experimental program will be developed and the results will be evaluated through this mutual reflexive process. The circles are also accompanied by a process-evaluating research. During this research, the researches examine changes in the participants’ satisfaction with the circles, and changes in their attitudes towards crime, responsibility-taking, forgiving as well. The final results of the experiment and the most important conclusions of the research will be summarized in the monograph collection that will be published before the Fall of 2013 and will compare experiences from Hungary, Belgium and Germany. The results will be available on the www.foresee.hu website. 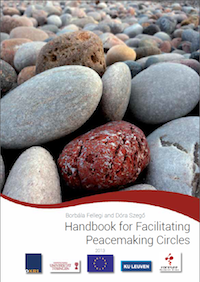 You can get additional information on the Peacemaking circle project from Dóra Szegő, research leader of Foresee. The photos taken during the Leuven trainig can be viewed here. The report on the introductory workshop can be read here. You can read about the introduction of the project on "Probation Day" here.